Game Day is upon us! I’d be lying if I said I’m a serious, diehard football fan, but I am a dead serious fan of snacks, so I do have a few good reasons to show up to a Super Bowl party this Sunday. When it comes to themed foods, Game Day might be my favorite genre ever. From spicy chicken wings to onion dips, I seriously cannot get enough. I could eat full dinners of just Game Day appetizers, which I suppose we’ll all be doing the day of the big game. This Sunday I’m headed to a friend’s house to watch the game, and I was given instructions to bring along an appetizer. I wanted something that I could make ahead and just pop in the oven when I got to my friend’s house (no hauling ingredients to her house! ), and this dip fit the bill perfectly. I know there are a lot of renditions to this recipe, but I just adore this one. 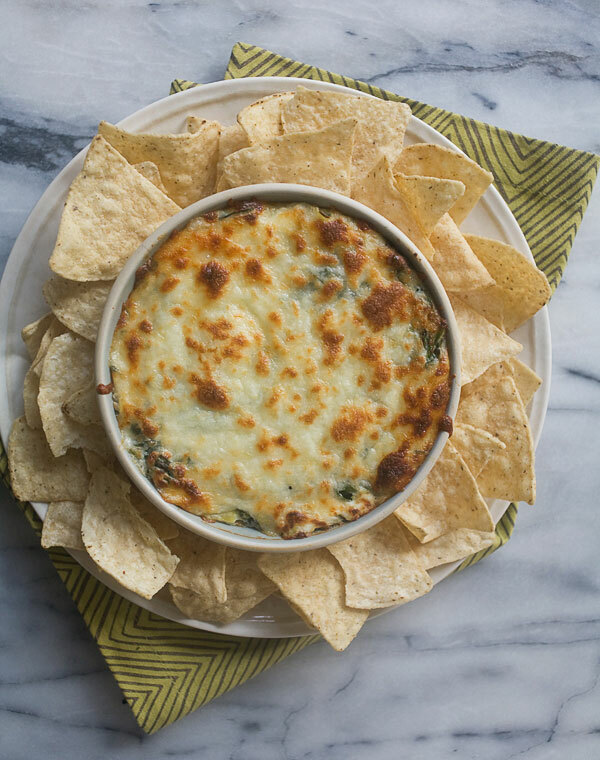 I love my spinach and artichoke dip warm. 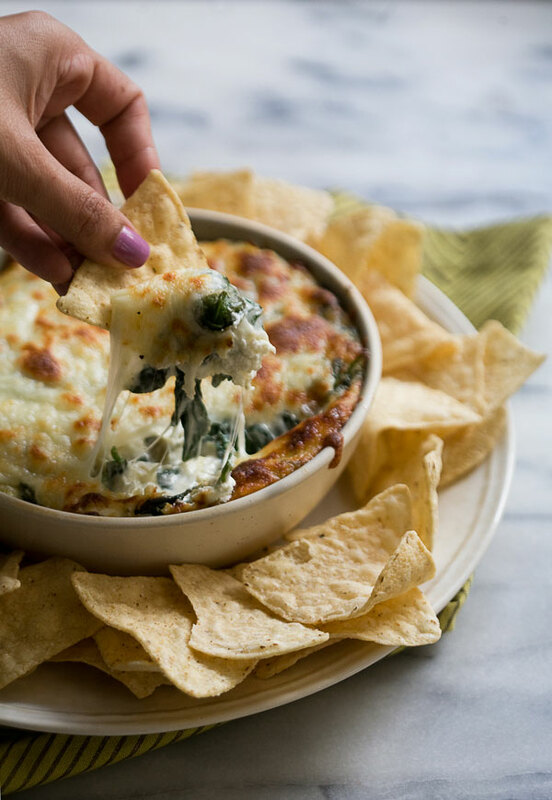 Aren’t warm dips the best? There’s something about cheese being gooey and hot, and having those dramatic cheese-pulls happen. I spiced this up a bit with some hot sauce and red pepper flakes. I think the touch of added heat is awesome. 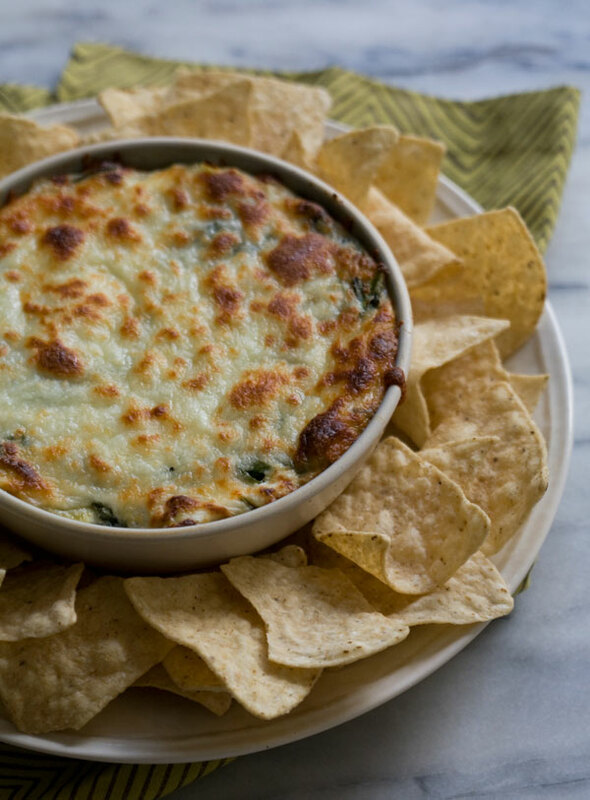 Whichever team you’re rooting for, or even if you’re in it for the commercials, I hope you make some gooey, warm spinach Dip and enjoy a relaxing Sunday. 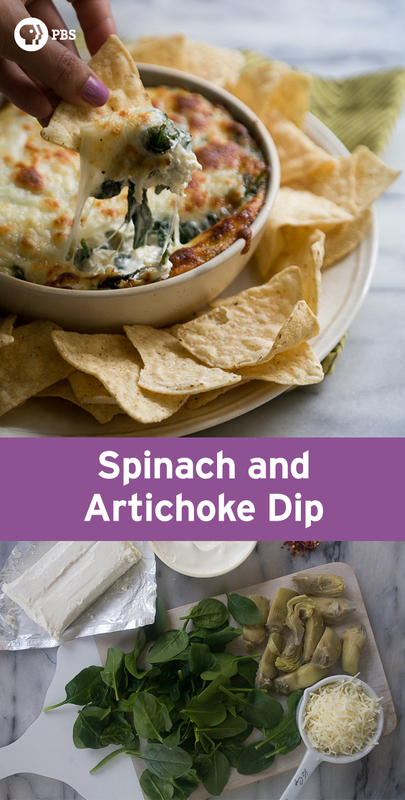 Make this spinach and artichoke dip for a warm, cheesy appetizer. Food blogger Adrianna Adarme uses artichoke hearts and Worcestershire sauce for flavor on the Fresh Tastes blog. In a large saucepan, set over medium heat, add a scant teaspoon of olive oil to the pan. When the oil is warm, add the spinach and cook, tossing it every so often with a pair of tongs, until wilted, about 5 minutes. Transfer the spinach to a bed of paper towels and top the spinach with a few more sheets of paper towels. Bundle up the paper towels and squeeze until the spinach releases its water. Add a tablespoon of olive oil to the same saucepan you used for the spinach. Heat the oil over medium heat and when warm, add the minced shallot and cook until soft, about 2-3 minutes. Next add the garlic atop the shallot and cook until fragrant, an additional minute. 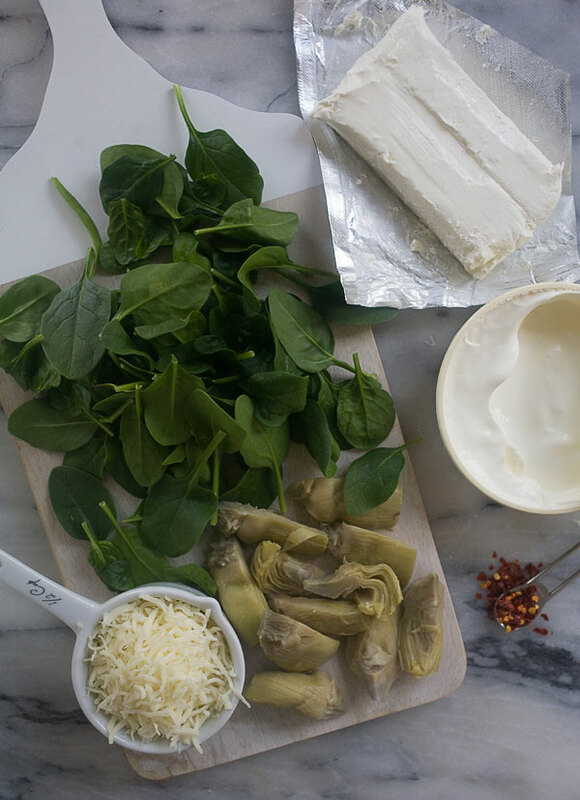 To a large bowl, add the reserved spinach, the shallot/garlic mixture, artichoke hearts, Parmesan, mozzarella, cream cheese, creme fraiche, red pepper flakes, worcestershire sauce and hot sauce. Mix until thoroughly combined. Salt to taste (I added about 1/2 teaspoon of salt). Mix once more and then transfer to a 1-quart baking dish. Top with a handful of mozzarella and place in the oven to bake for 25-30 minutes, until the top is lightly golden brown. Note: If you'd like the cheese to be a bit more golden brown, like mine, place it under the broiler for 2 minutes, being sure you're watching it the entire time.